When I was looking at flights to the Gold Coast, the prices were working out to be much cheaper to fly from Avalon rather than Tullamarine. 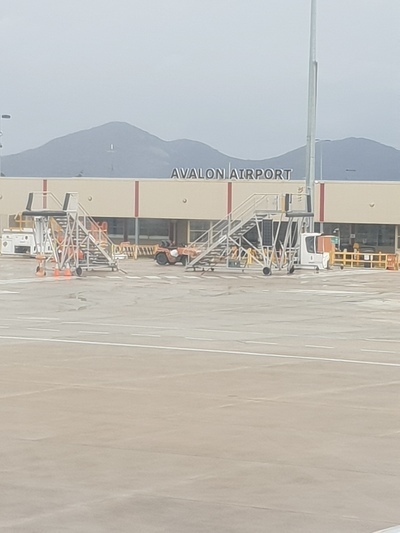 I'll be honest, I didn't know much about Avalon airport, but as always I'm happy to save a few bucks so I booked the flights and relied on our GPS to get there. Well the GPS wasn't even needed. It was well sign posted and just off the M1 by Lara. We parked the car in the only car park at the airport and walked about 50 meters across to the terminal. No buses required. Excellent. We were actually flying with Jetstar and I'd already checked in online. We were able to join the priory drop off line (not that there was much of a line anyway) to check in our bags. No long wait to check in here! If you only have hand luggage, you could bypass check in desks completely and just head straight through security. Once past security, everything was in one big open planned space, with a small shop and a cafe that served breakfast items and light snacks. 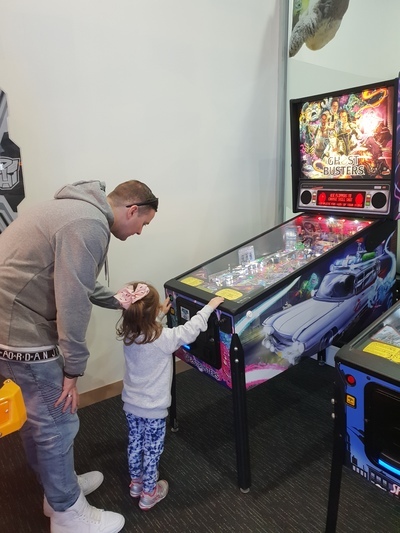 An arcade machine and a small childrens' play space that had a TV mounted on the wall showing ABC kids. Before we knew it, our flight started boarding. With only 4 gates next to each other, it was easy to see which line we needed to join. Whist in the line to board, I did witness a toddler running full speed across the waiting area. In a larger airport this would've been every parents worst nightmare, however because Avalon is so small and enclosed it wasn't a problem. The toddler was simply followed by their parent who allowed them to continue to stretch their legs before the flight. No stress, no tears, no tantrums just smiles all round. A few steps across the tarmac and we were on the plane. No shuttles, no escalators, no long walks. just small and to the point. 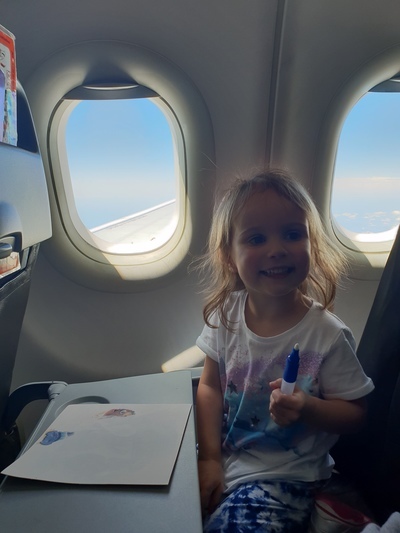 If any parent of young children has the option of flying from Avalon airport I strongly encourage you to consider it. It's all too easy. Also worth mentioning the Melbourne Sky Bus now has a route to Avalon Airport leaving fro Southern Cross Station. Happy days.